Oppo A5s will make its debut with the following specs. Its dimensions will be 155.9 mm x 75.4 mm x 8.2 mm along with a slight light weight of 170 grams. The display screen of the Oppo’s A5s is 6.2 inches that will present full HD+ resolution. The smartphone is packed with a colorOS 5.2, based on Android 8.1. As for as the chipset is concerned, the Oppo A5s’s powered by a Media Tek Helio 35 chipset. This is one of the best chipsets for a mid-range and can support dual camera setup along with full HD display resolution. 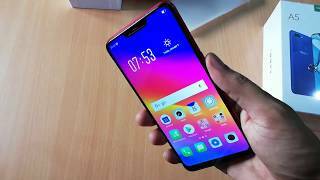 The above-mentioned specs and other qualities will make Oppo A5s a competitive product and will increase the choice of selection for the customers.